I want to write today about the thought-provoking subject of luck. Just what is it? Have you ever felt you were lucky at any time? It’s true to say most of us do from time to time but you have probably felt luckless too. But what is luck? Is it some kind of natural law? Does it even exist when nobody is around to experience it? The fact of the matter is that, while everything occurs precisely because of cause and effect, it’s all so complicated there is not much we can reliably predict. However, we believe if we are able to tell what’s likely to take place at any point in the future then we can use this to our distinct advantage. As humans, we have a strong desire to be in control, and this is not without risks. While it motivates us to forecast and cope with the world around us, we also know that we will always have limited success in doing this. So what do we do? In essence, we conceal the truth from ourselves. We attribute our failures to the ineptitude of others or just plain bad luck. In addition to pursuing the control what we are familiar with, our need pushes us to test our limitations, to take risks and to wager. When we succeed, seemingly against all the odds, when whatever gamble we have taken pays off, we experience the sensation of luck. When risk-takers feel lucky, they believe they have beaten random chance, that their ability to control has somehow overcome natural chaos. We may also feel lucky when we endure a poor decision or escape unscathed from a road traffic accident. Without our intervention, things happen to us and around us, and we explain the near misses and actual harm as being due to fortune, to good or bad luck. Luck, then, is nothing but an explanation we give to the good and bad things that happen by chance, an ascription we use to give significance to arbitrary happenings. We also use the notion of luck in humility, assisting others in feeling good by stating it was lucky when in fact we have prospered through skilfulness (and perhaps when the other party have not won). 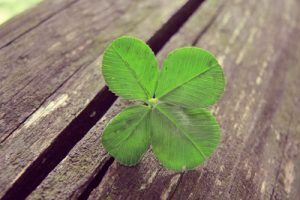 Whatever the reason, luck is an attribution we use to generate false meaning that makes ourselves (and perhaps others) feel improved. It is not something we possess, and it isn’t something that derives from the heavens or indeed the environment. Ascribing luck to something is merely a kind of trickery, occasionally of ourselves and every so often of others. As such, like other trickeries, it may be innocuous, and it may be used to gain a considered benefit. We damage ourselves when we feel lucky and take excessive risks. We hurt others when they are caught up in the impact of our hopeful choices, or when we embolden them to ‘be lucky’. Whatever the case it is an interesting concept and one I am sure to return to. 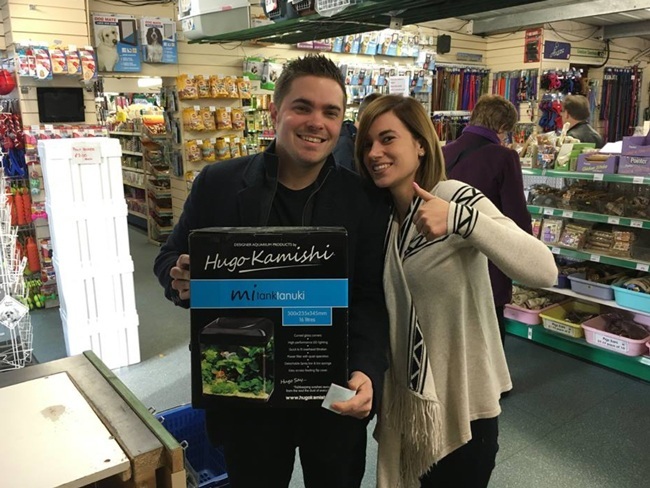 I would also like to take this opportunity to extend my heartfelt congratulations to Adam and Chelsea who recently won one of my MiTanks in a raffle organised by Creature Comforts and Aquatic Centre in Southampton, well done and I hope the MiTank will bring you immense pleasure! The brilliant new 16L set comes fully equipped with high performance LED lighting and a powerhead filter with media. It is available in 4 colours, black, white, pink & blue. Our woods aren’t just for our fishy friends, their for our reptile ones too! Paul the Panther chameleon enjoyed having a climb today. Paul..
Duality Do you consider your life to be simple and perhaps boring? Or does it seem like it is complex and by definition interesting? Or maybe.. 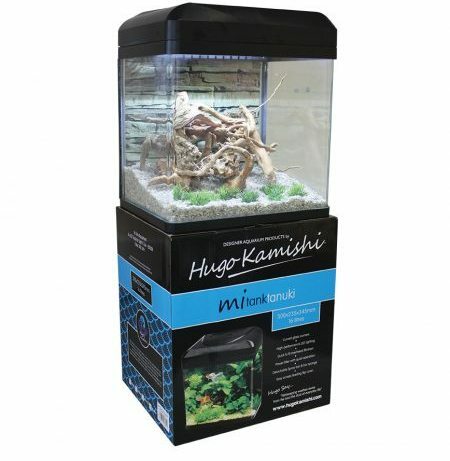 Fish food flakes for the Hugo Kamishi Fish Food Collection hugokamishi.com	Fish food flakes for the Hugo Kamishi Fish Food Collection - premium nutrition for all the fish in your aquarium carefully selected and prepared. https://www.facebook.com/1146557705405811/posts/2185406934854211/ Thanks to pass aquatics for stocking our simplicity collection !